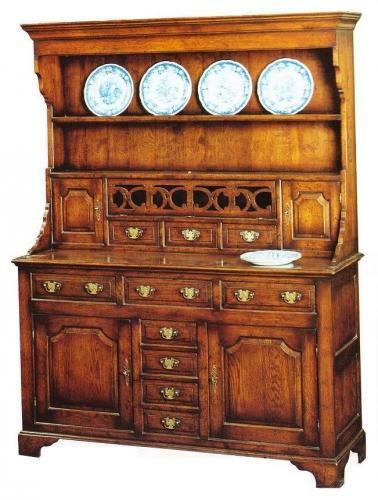 The Parry oak dresser and rack is another welsh dresser with an interesting provenance. No expense spared on this solid oak example with every detail beauitfully made. The frett work panel drops to reveal a cheese store.